(November 21, 2012) The Dixie River Land Company has submitted a rezoning petition for a 4.6 acre parcel at the corner of Steele Creek Road and Shopton Road West. (See Rezoning Petition 2012-101.) The purpose of the rezoning is to add this property to the master plan for the Berewick Town Center. Walter Fields, consultant representing the Dixie River Land Company, has scheduled a community meeting for Wednesday, November 28 at 6:30 PM at the Lighthouse Church. Lighthouse Church is located near the corner of Dixie River Road and Shopton Road near Berewick Elementary School at 5735 Dixie River Road. We invite you to attend a neighborhood meeting to receive a presentation on a rezoning petition for approximately 4.6 acres located on the northwest comer of Steele Creek Road and Shopton Road West. 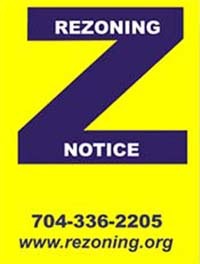 Sometimes with rezoning petitions, information is not readily available to interested parties and the facts about the request are misunderstood. We would like to take this opportunity to discuss information with you so that you may have the facts about the request. You may not have an interest in this particular rezoning, but if you do, we invite you to attend this meeting to learn more about the proposal, share your comments, and have an opportunity to ask questions. The meeting will be held on Wednesday, November 28th at 6:30pm in the Sanctuary of Lighthouse Church, located at 5735 Dixie River Road. If you have any questions about the meeting, please feel free to call Walter Fields at 704-372-7855. The Charlotte City Council is scheduled to hold a public hearing on this petition at its rezoning meeting on December 17. The City Council likely will vote on this petition at its January rezoning meeting.